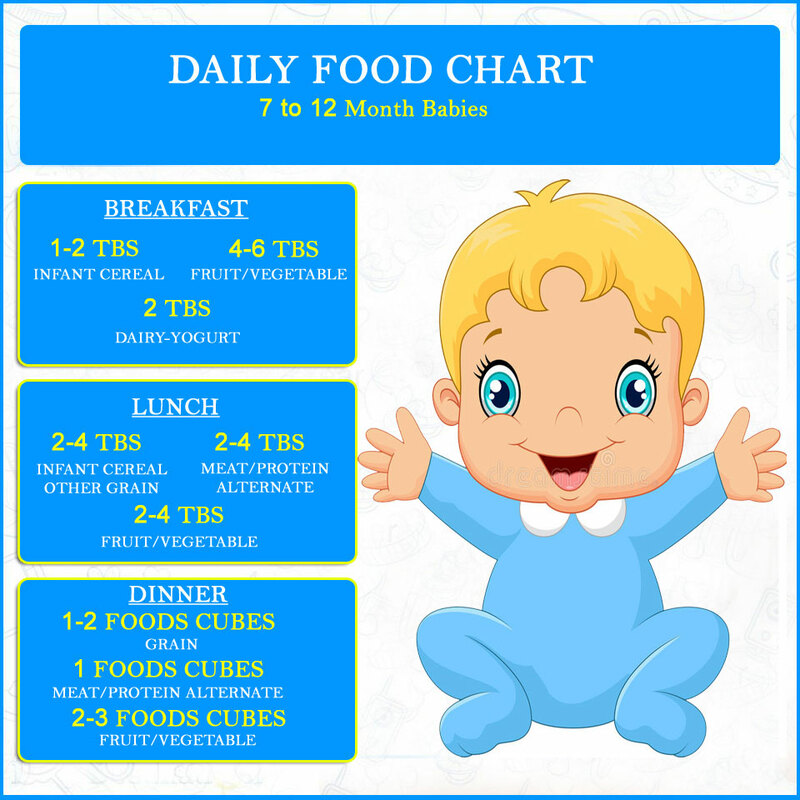 Have a look at DAILY FOOD CHART FOR 7 TO 12 MONTH BABIES. It will help you feed your child a healthy and balanced diet to ensure that he gets all the vital nutrients he needs to grow well. Next articleWhat Do Not To Eat During Pregnancy?